The Tomb of Shogun Tokugawa Ieyasu (1543-1616). Below is a slideshow of our visit to the Shrine of Tokugawa Ieyasu (1543-1616), founder of the Tokugawa Shogunate, which ruled Japan for more than 250 years between 17th and 19th century. 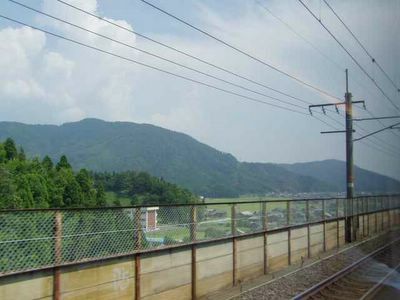 It’s a Unesco World Heritage Site, and Nikko’s most popular spot. 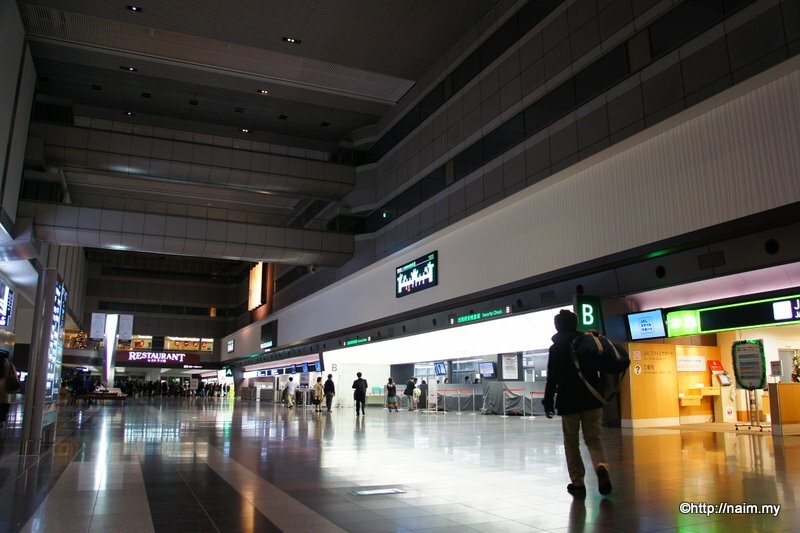 Tokyo International Airport (Haneda Airport HND) is a huge pleasure to use. 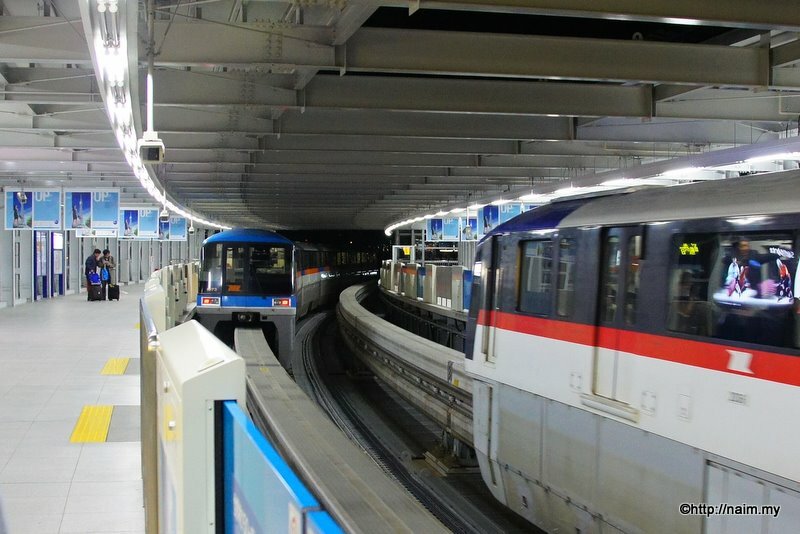 In my opinion, the best way to access it is via Tokyo Monorail operated by JR, hence a JR Pass is valid here. 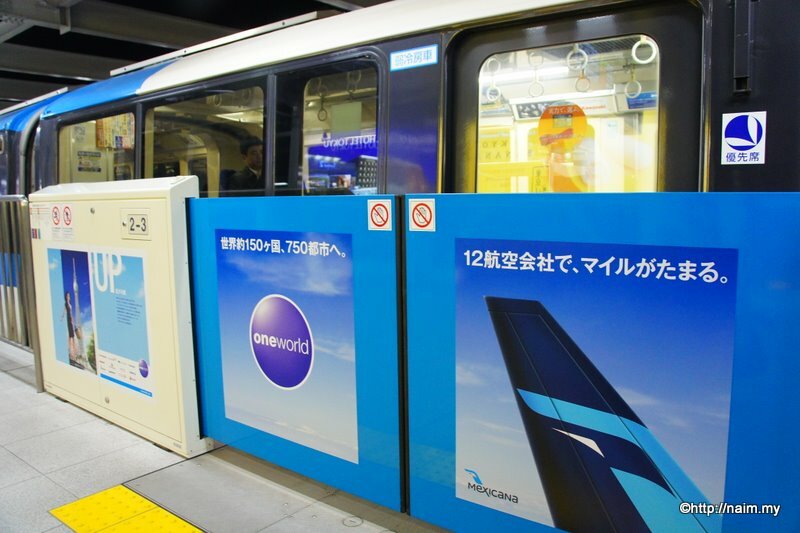 It starts at HND Terminal 2, stops at Terminal 1 and International Terminal before connecting to the Yamanote Line (Green), also owned by JR. Good deal for JR Pass holders. Spacious interior, for all the baggage. 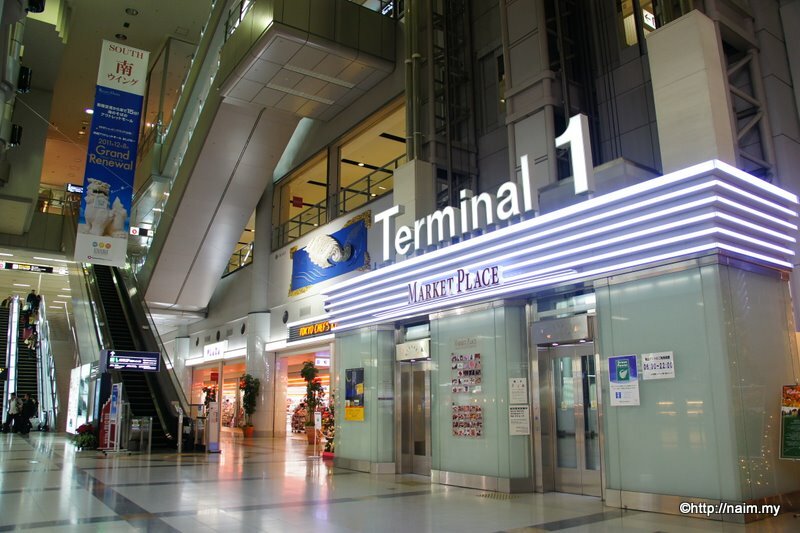 This is Terminal 1 — with two wings, where the centre is the commercial area, designated ‘Market Place’. Go up and you come to this concourse. South Wing of T1, mainly used by JAL domestic operations. In particular, JAL domestic flights going south. Another view of South Wing — a cavernous long hall. 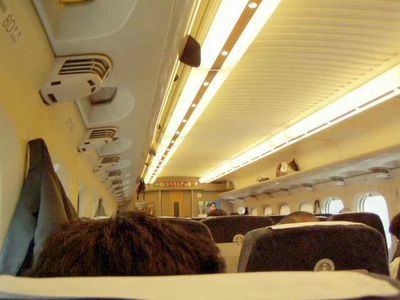 The North Wing is a replica of the South Wing, also used by JAL domestic, and Skymark Airlines. 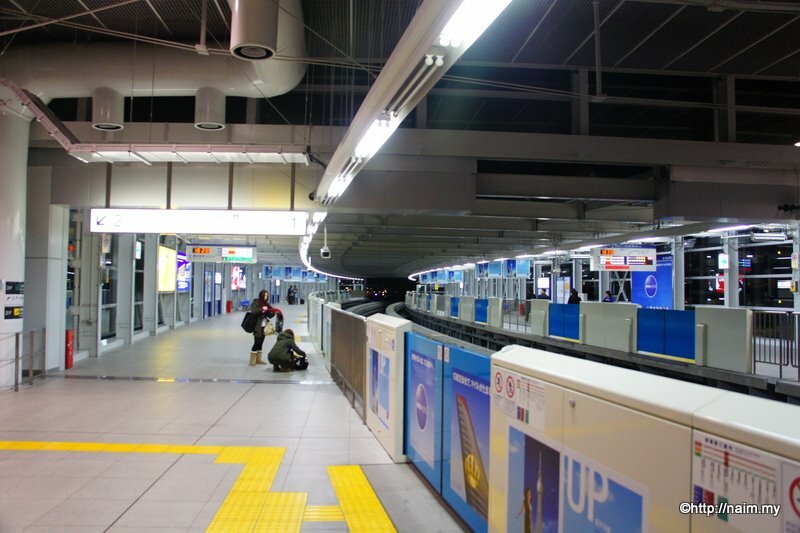 Continuing with the monorail, I leave Terminal 1 for a ride to Terminal 2, its end-station. This is the beautiful home of ANA domestic operations. From the monorail station, up a long escalator to the check-in floor. Atop the escalator, their flagship plane, the Boeing 787 Dreamliner. Turn left into North Wing. Huge posters of their Dreamliner. 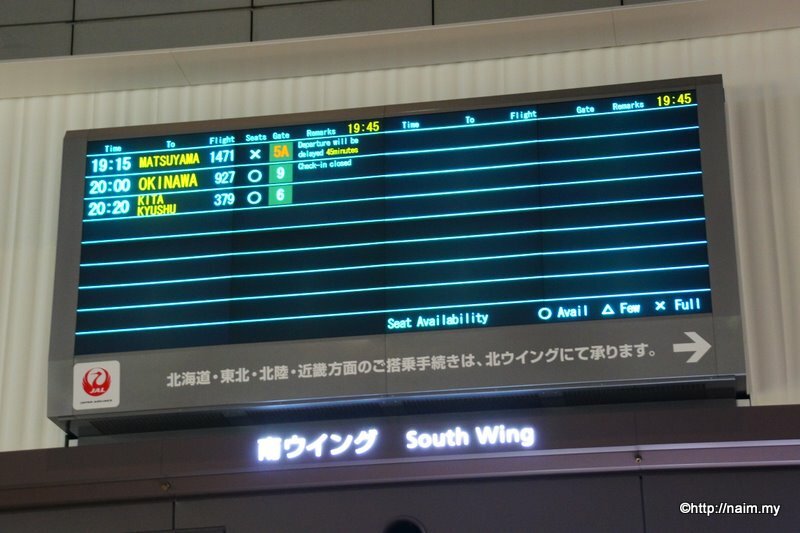 Flight Information Display with more details than normal. The ‘Market Place’ at the centre of the long terminal. 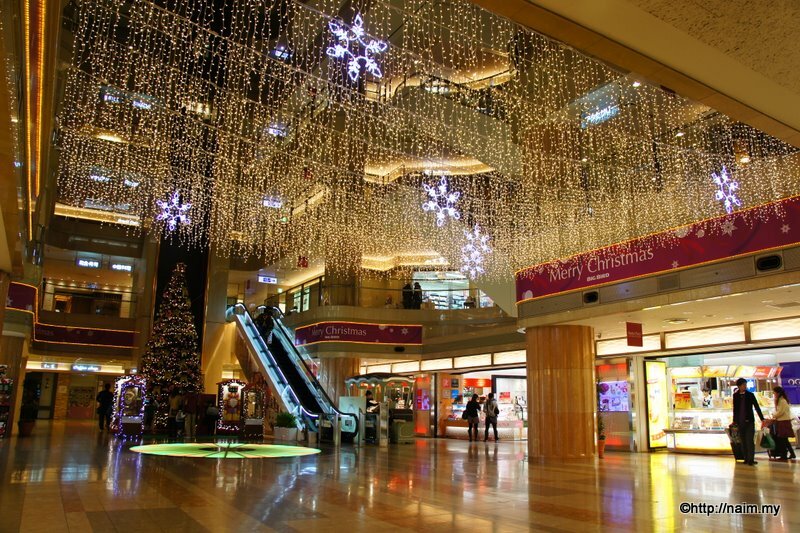 Christmas decorations at the concourse of Market Place. Huge banner hung above the Christmas tree, looks cool but not sure what it is about. This is the South Wing of T2. FID, and Air Do is Hokkaido International Airlines. Qatar and Thai codesharing with whom? Check-in area of South Wing, T2. Heading back to the Market Place. Down the escalator, two floors to get back to the monorail station. 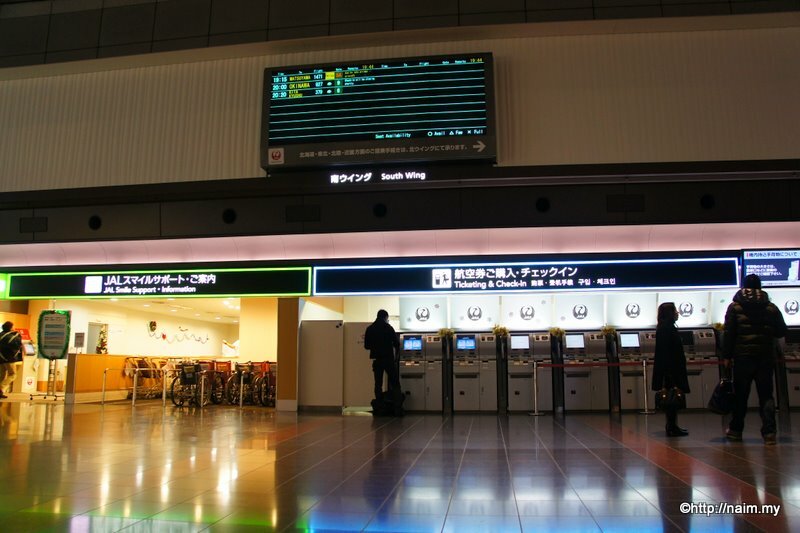 … you are right inside the departure hall. Very convenient. Go one floor up and get a nice view of the check-in area. The roof is amazing — no support in the middle, no pillars, and it feels like being in a huge tent. 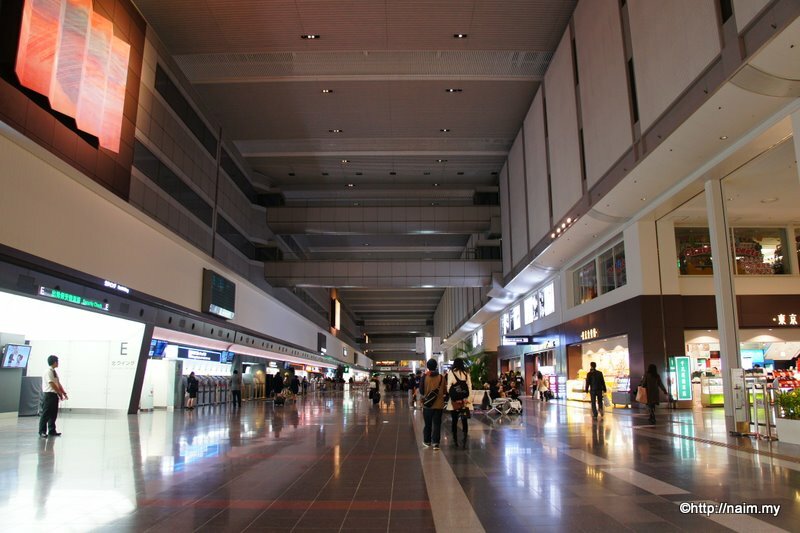 And of course this is the ‘Market Place’, the common theme in all three terminals at HND. Mainly shops selling Japanese traditional craft and fabric, but also a number of restaurants. So I decide to have my farewell dinner. And here also I find the most sophisticated toilet ever. It even blows warm air into your rear to dry it. Anyway, a floor up, there is something even more interesting — a spotter-friendly open-air observation deck. Night-spotting has never been exciting, especially with a flashless, handheld camera. The lights on the taxiways are quite vibrant and colourful, unlike other airports I’ve been at. Haneda is the official ‘Tokyo International Airport’. Overall, a beautiful user-friendly airport. It is freezing cold outside on the deck, so I make my way to the departure gate to board AirAsia X flight D7 523 back to Kuala Lumpur. Next to me, smokers poison each other in a Mild Seven-sponsored compartment. How appropriate. A visit to Kushiro Shitsugen National Park in eastern Hokkaido in search of the majestic Dancing Cranes aka Japanese Crane aka Red-crowned Crane, sp. 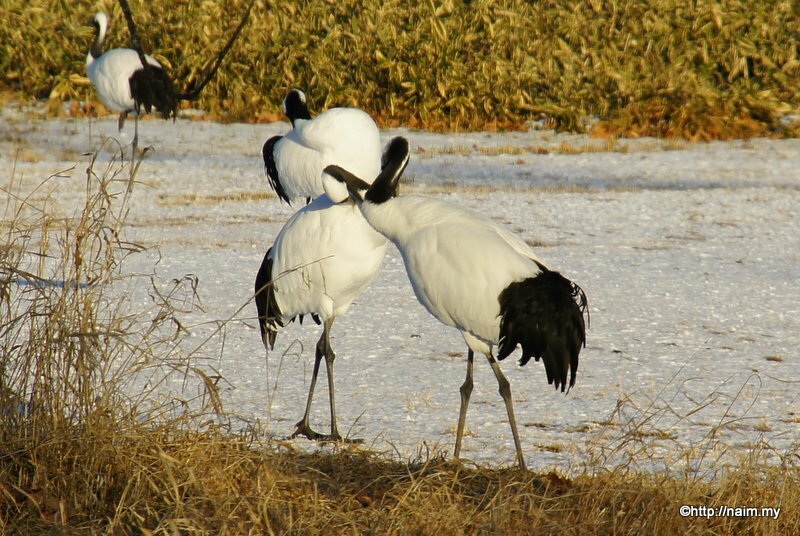 Grus japonensis, an icon of Japan. Very rare, only about 1000 birds now live in Japan. Long journey from Sapporo — a 4-hr express train ride to Kushiro, then a 1-hr bus trip to the site in Tsurumidai, just before Tsurui village — a round-trip of almost 750km, all done in one day out of Sapporo. Worth it all! A visit to Jigokudani Yaen-koen, some 35km northeast of Nagano city, to see the fascinating Snow Monkeys. A long way to get there. An express bus ride from Nagano Station takes 50min to a stop near the park — fare ¥1300 one way. Then another 40min walk along a village road followed by a 1.6km trail into the forest. Park entrance costs ¥500. But definitely an experience not to be missed. 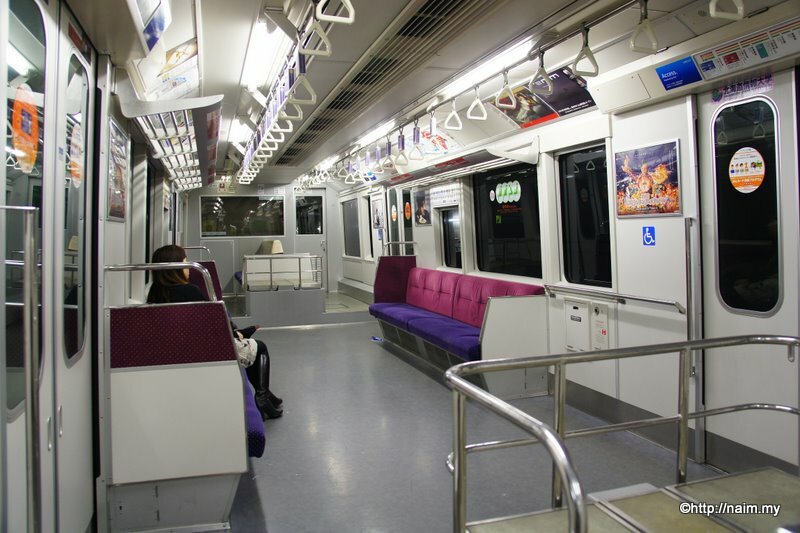 Slideshow of Sapporo-Nagano train journey and the Snow Monkeys. Please watch in HD 720p for best effect. These sleek shinkansen machines can go all the way up to 300km/h. 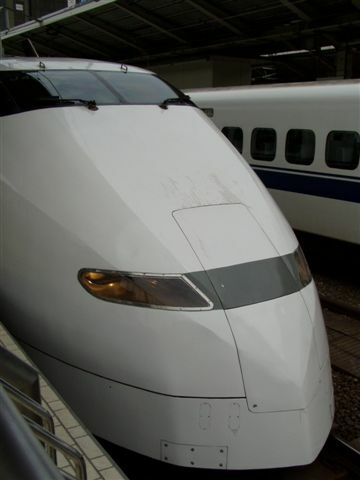 On one stretch between Hiroshima and Osaka, my GPS registered 286 km/h! No shaking, no rattling, just a hum. It covers the very busy 520km Tokyo-Kyoto route in just 2.3 hours, with trains leaving one station for the other every 5-10 min during peak periods. 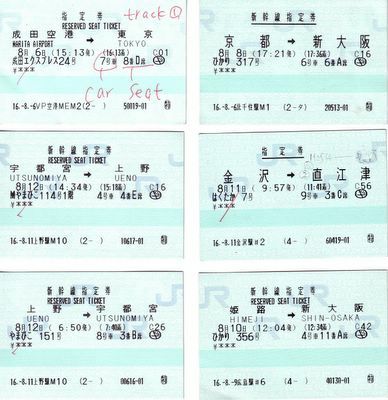 JR train tickets, including for bullet trains. Top left is my first ticket – from Narita Airport to Tokyo Station. The nice English-speaking girl at the counter subtitled in red for me. Splendid start! 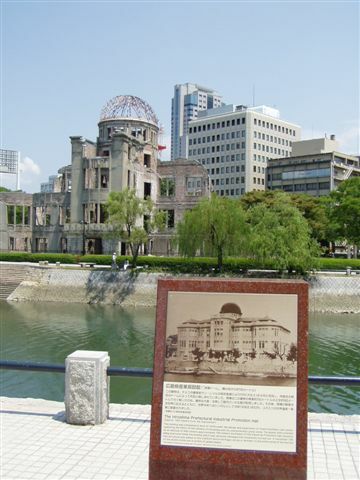 The Hiroshima Memorial Park, built to commemorate the 8.15am, 6/8/45, A-Bomb blast which took place 580 metres in the air somewhere above the slender car-parking building marked ‘P’ in the bottom pic. The bomb should have exploded right above the bridge in Pic #3 (from the top), but I guess that’s academic now. As a result some 140,000 citizens of Hiroshima perished (70,000 from the blast, 70,000 from radiation), and Hiroshima was decimated. 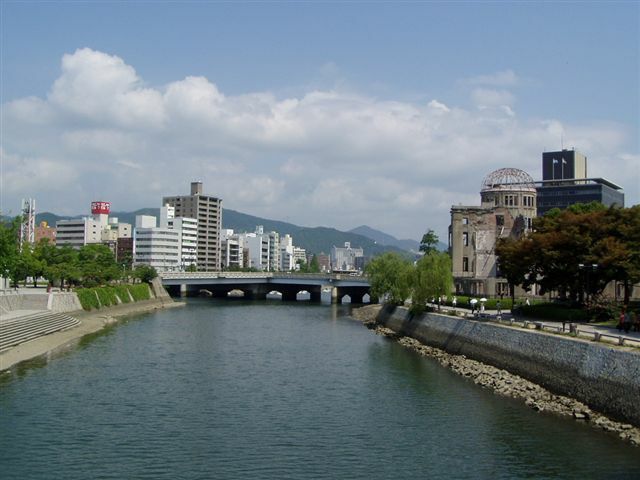 Now a modern Hiroshima is a bustling and beautiful city, surrounded by mountains and the sea, with wide streets, trundling trams, rivers and waterways, and 1.1mil people. I arrived at the city around 7.30pm, 8/8/04, aboard a bullet train from Osaka, oblivious to the fact that the city had just had its 59th a-bomb anniversary a couple of days before. Otherwise it would have been tough getting a room for the night. I ended up spending two nights in Hiroshima, and could not get over the fact that on 6/8/45 the whole city was obliterated, and had to be rebuilt from scratch – a testimony to the power of life over destruction. Pic #1 (top): model of Hiroshima prior to the bombing. Pic #2 (middle): model of Hiroshima after the bombing – only bits of some ferro-concrete buildings were left standing. 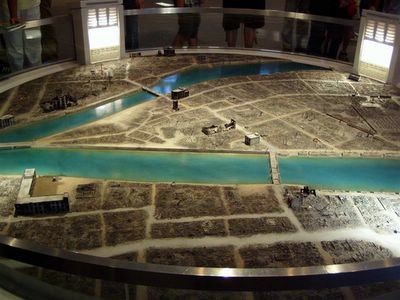 Pic #3 (bottom): a stitched pic of four separate photos I took of a huge display in the museum of the real panorama of Hiroshima a few days after bombing. For orientation, the T-shaped bridge at left of Pic #1 is shown at the far right of Pic #3. It is partially hidden to the extreme left of Pic #2. This odd-shaped bridge survived the blast and is still in use today. 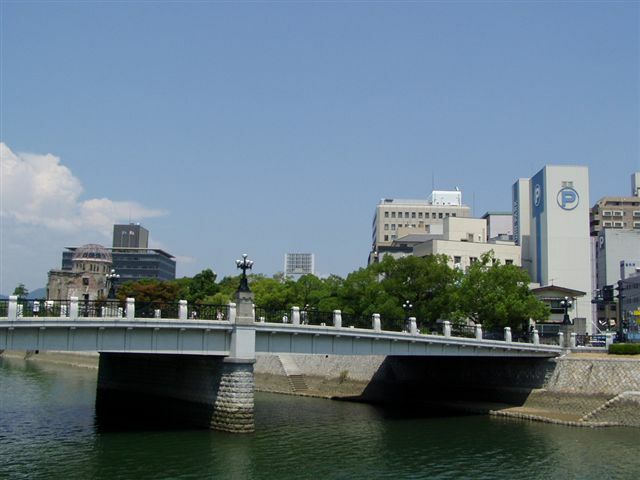 The A-Bomb was supposed to be detonated above this bridge because it was easily identifiable from the air. The bomb instead exploded 300 metres to the south-east of the T-shaped bridge, at a height of 580 metres, in order to maximise its destructive impact. The time was exactly 8.15am, 6/8/1945, on a beautiful sunny blue morning (similar weather to the day I was there 9/8/2004). 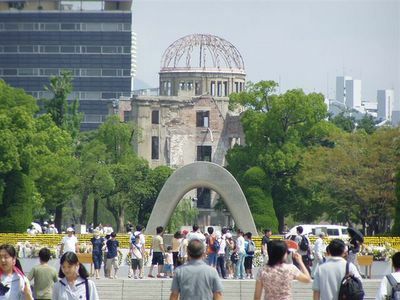 The bomber had 4 possible cities to bomb, but Hiroshima got it because it had the best weather for the drop. The pics attached are real items, thanks to the A-Bomb, all on display at the museum. 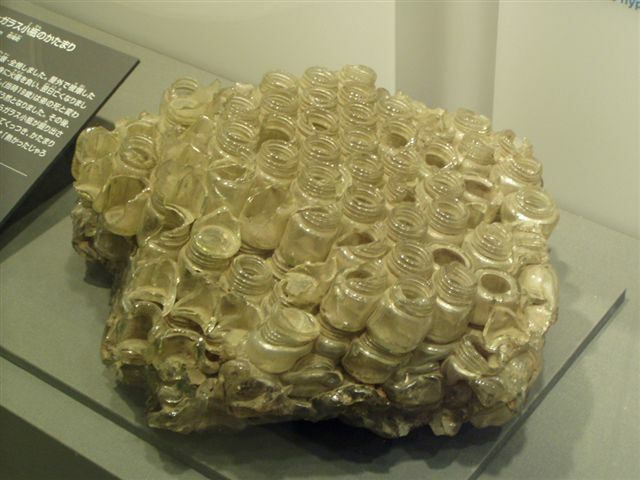 The blast from the bomb generated heat of almost 4,000C which vaporised (or burnt) people, and melted glasses. 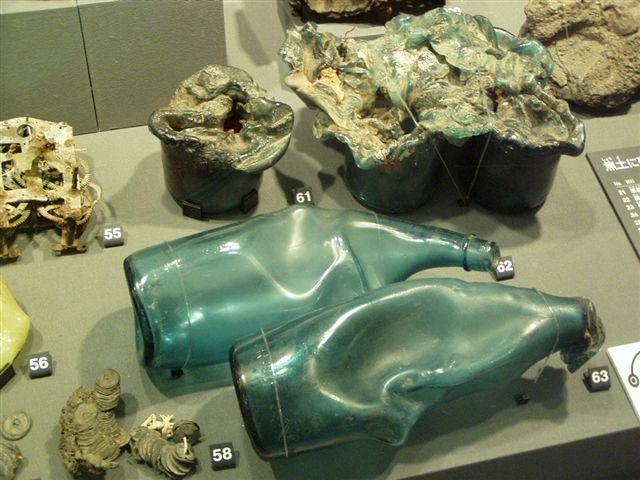 Pic #1: melted glass bottles. Pic #2: melted and fused empty ink bottles found in a spot where an ink factory used to stand. 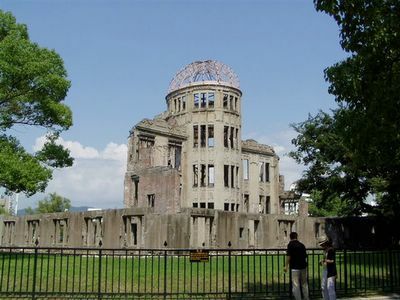 After a sombre morning at the A-Bomb Memorial, I caught a tram to the Hiroshima train station, had a quick McD’s fillet-o-fish, and boarded an afternoon local train to the coastal town of Miyajimaguchi, for a ferry ride to the island of Miyajima, an hour away from Hiroshima. 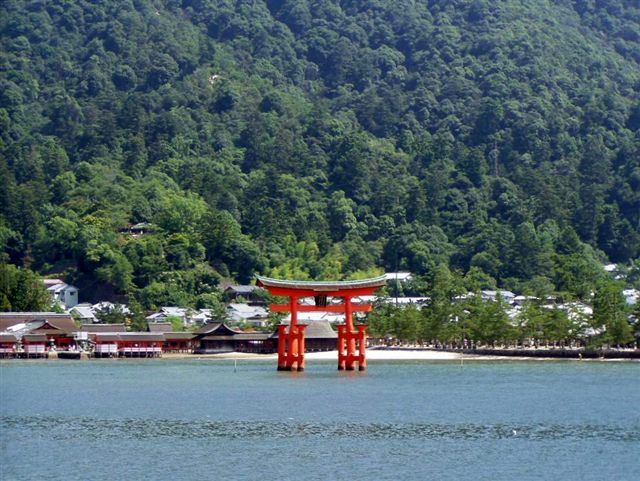 Miyajima is famous for its venerable shrine of Itsukushima-jinja (built 1168), whose vermilion gate rising out of the sea (not at low tides) is considered one of Japan’s top three most scenic views. 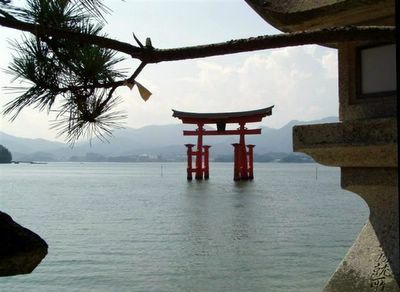 Top pic attached shows a view of the ‘floating’ gate from the path leading to the shrine on Miyajima island, with the mountains on Honshu island as a backdrop. Bottom pic shows the gate as the ferry approaches Miyajima island. 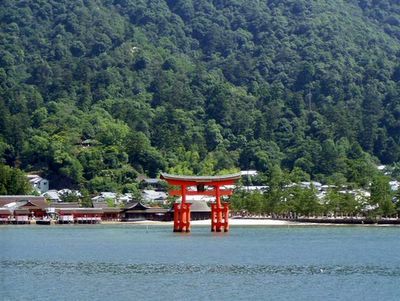 The position of the sacred gate indicates that the whole island of Miyajima is a Shinto holy site and should be respected as such. 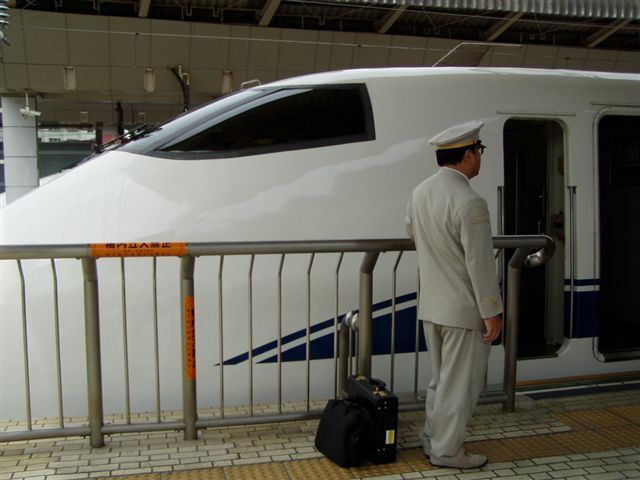 After spending two nights in Hiroshima, I packed my stuff and decided to back-track to Osaka with a bullet train, and then change at Osaka for a normal express train for Kanazawa. I had the option of pushing further west to Kyushu island, but I reckoned the west coast of Honshu was worth seeing too, considering the lack of time. Anyway I had to head back to Tokyo for a date with missus. Maybe next time :-). Hence my furthest point from Tokyo is Miyajima, some 920 km away by train. 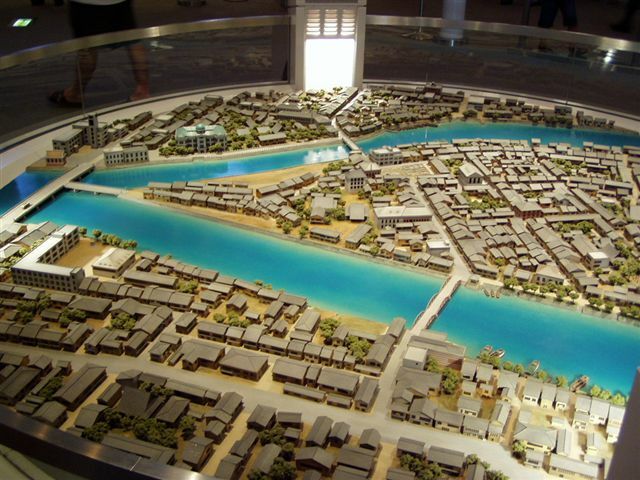 Kanazawa, on the other hand, is only 470 km away, but on the other side of Honshu island. 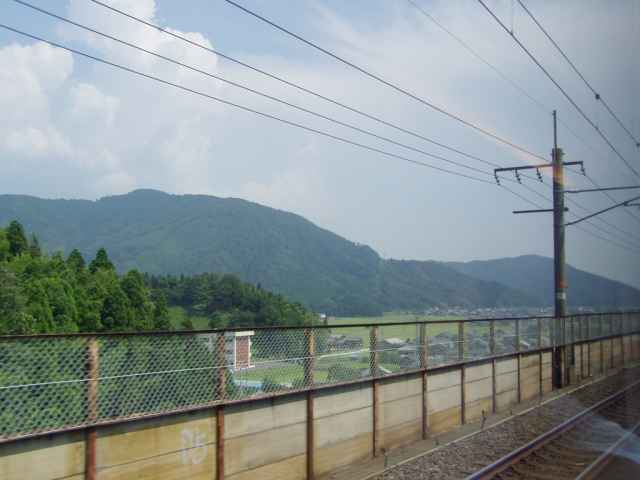 Pics attached are taken during the bullet train ride from Hiroshima to Osaka (with a short 3-hour Himeji lay-over in between). 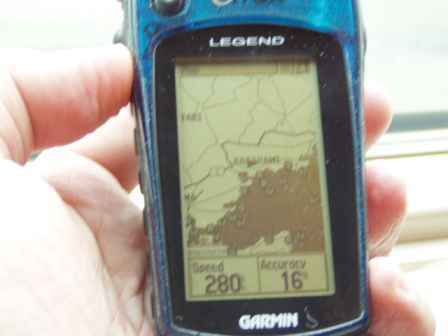 The GPS caught the train doing 280 km/h, though the max speed I recorded was 286 km/h. The scenery was mainly mountainous interspersed with forests, villages and urban areas. 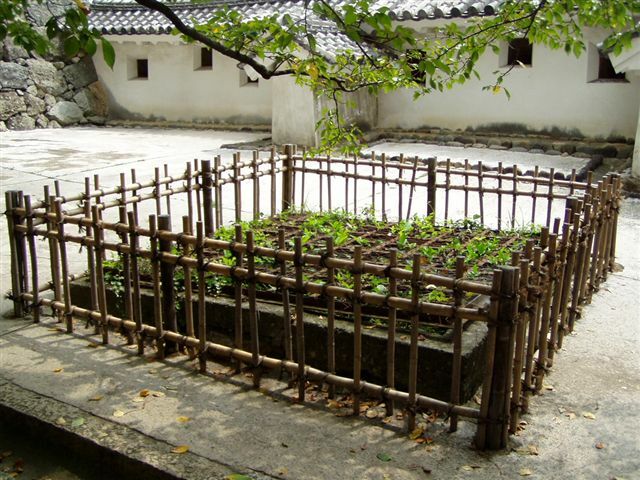 Rice-fields were everywhere, even in between buildings in towns. The cabin of the train was very comfortable, spacious and quiet, with just a humming sound. Himeji Castle. 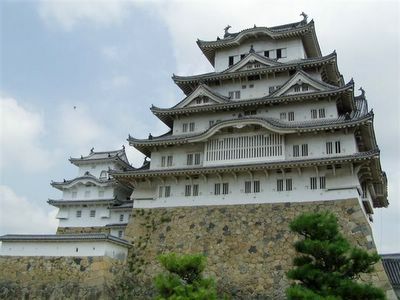 Most famous castle in Japan, also known as “white egret castle”. More than 600 yrs old, but present structure was built 400 yrs ago by Tokugawa Shogun, totally wooden but coated with white plaster and well-defended by walls, ramparts, towers and moats. Climbing up the 6 floors of the castle tower was a bit of a challenge – narrow, steep wooden staircases (more like ladders). Featured in 007’s “You Only Live Twice” and countless samurai shows. Himeji Castle is registered on UNESCO’s World Heritage list. 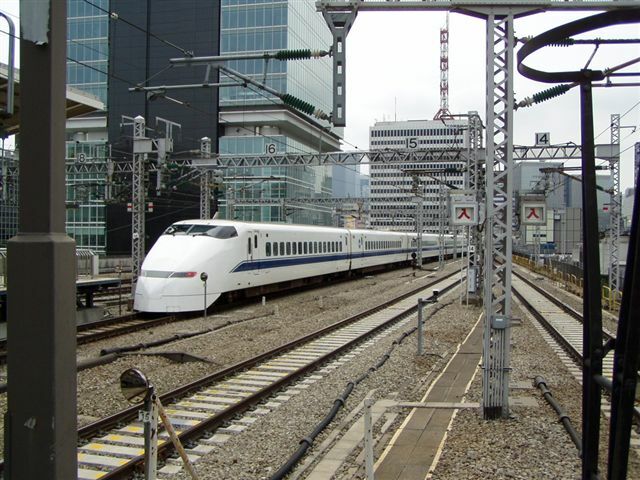 Stopped by in Himeji for 3 hours while traveling on the shinkansen (bullet train) from Hiroshima to Osaka 10/8/04. 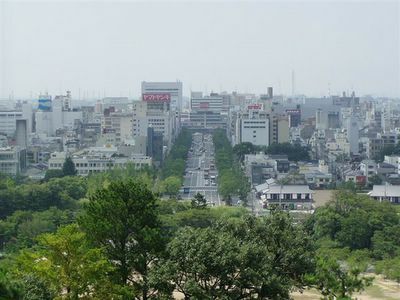 Himeji is some 650km west of Tokyo. 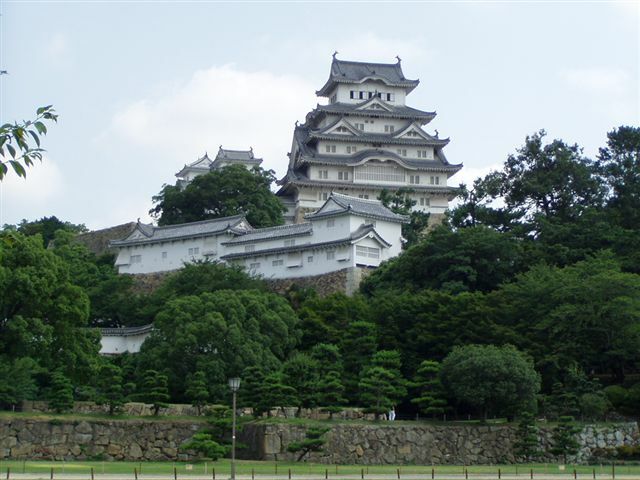 After stowing my backpack in the coin locker at the Himeji station, it was a 15-min brisk walk to the castle which was built atop a hill north of the city centre. 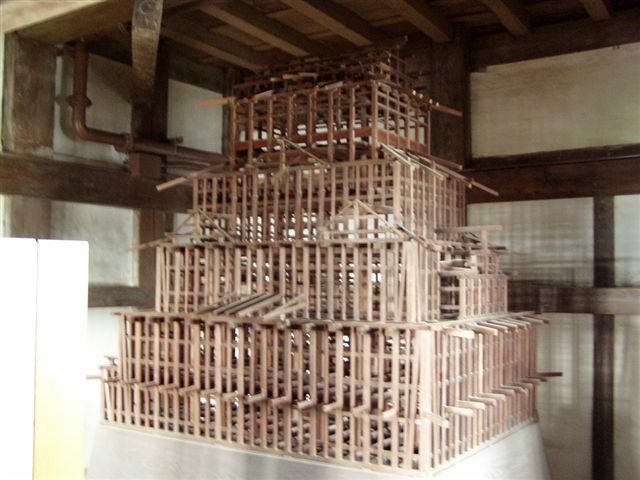 Pic #1 – View of castle from near the main gate.Model of internal wooden structure of Himeji Castle. Pic #2 – View of main street in Himeji from top floor of castle. The train station is behind the building at the end of the street. Pic #3 – Model of internal wooden structure of Himeji Castle. Pic #4 – View of castle from the garden below it. So what happens when you are a disgraced samurai at the court of the Shogun. You come to this place, sit like in ‘tahiyat awal’ with head bowed in front of the platform where the dignitaries sit to observe (Pic #2), and proceed to disembowel yourself with a sharp knife. Not to worry, if you are in real pain, your assistant will lop your head with a stroke of his sword. Then he proceeds to wash the sepukku knife (which you used to cut your belly open), his sword and your stand-alone head in the well shown in Pic #1. 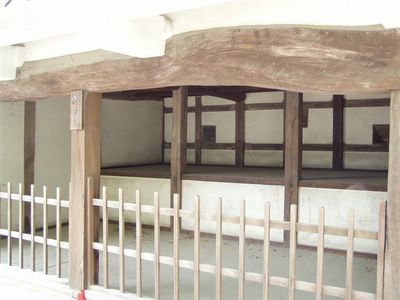 This spot is known as the harakiri-maru, within the Himeji Castle walls. Or so the story goes. Almost 3 years ago Brig Gen Paul W Tibbets, Jr, died at 92 years of age.